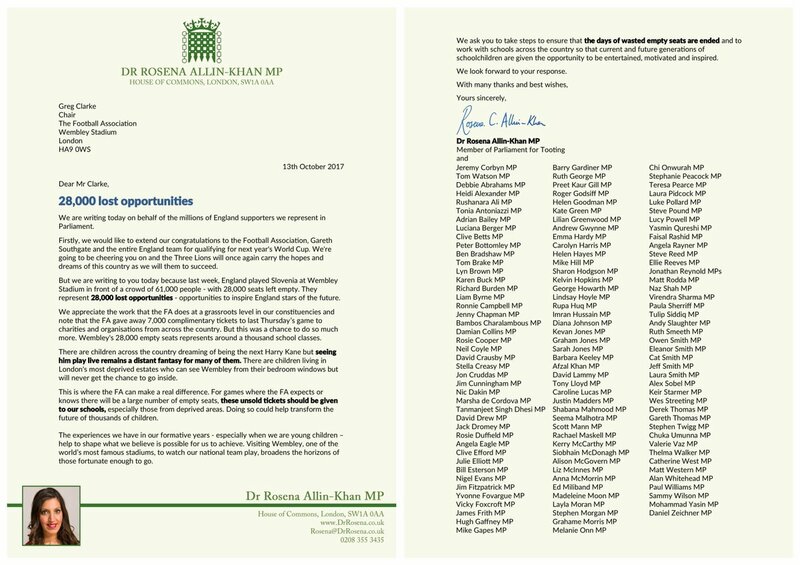 I have added my name to a letter drafted by Labour’s Shadow Sports Minister, Dr Rosena Allin-Khan, calling on the Football Association to fill empty seats at England matches with free tickets for schoolchildren. Wembley Stadium had 28,000 empty seats during the last England match and there are many schools in Northfield that would welcome the chance to offer young people the opportunity to be at Wembley to see England play. For games where the FA expects or knows that there will be a large number of empty seats, these should be given to schools.